9 teens, who were or still are in state care system talked about isolation of children in care issue. They have made a 3D visualization of this topic – where a big wall divides kids from normal families and kids who live in state care institutions, as they have so little chances to interact with each other. We were very impressed how many people came, as after inviting 10 quests (chiefs of local and regional social services, chief of the department of children affairs, chief of the Department of humanitarian policy, director of local children home, heads of local NGOs) many other people got interested and came to listen to our youngsters. My teens were talking and sharing their thoughts and feelings and people were applauding…Can you imagine this? I was watching them and being so proud of my guys speaking up in front of those officials. 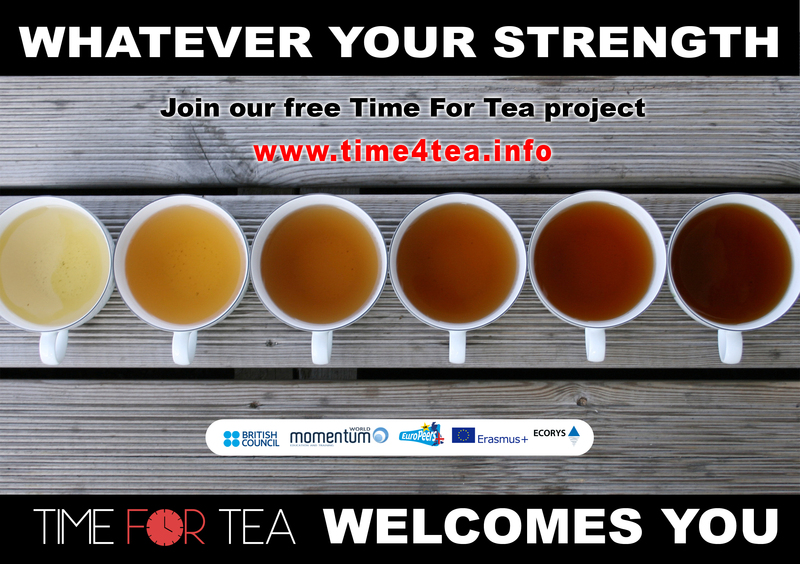 And I was thinking how happy I am that I got a chance to get to know Time for tea project! Thank you dear Andrew Hadley Paul Oxborough Ben HollandEleanor Oxborough Dafydd Alexander I love you all! Moreover – this is not the end as it was not just a talk – teens decided to spread this message to administrations of local schools and then to organize a big event in May (Talents in Action) where all kids would finally meet and ruin all the stereotypes! — feeling fantastic in Lviv, Ukraine.